This one day workshop is suitable for all levels, including beginners. You will make two pairs of silver earrings, drops or studs, which you can take home at the end of the day. 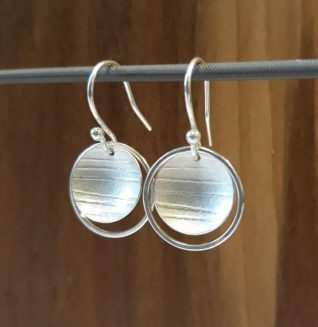 You will learn how to cut, file, texture, solder, shape and finish silver sheet and wire to create your earrings then add sterling silver fittings.